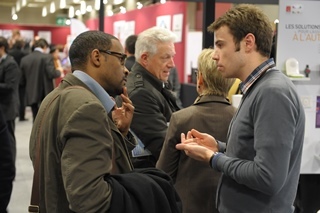 Join us at this 100% professional show which brings together the Silver Economy’s main players. The demographic evolution and predictions for the years to come show France is entering the group of “countries with an ageing population”..
13 million over the age of 65 in 2018 and 16 million in 2030. (1) How can we deal with this demographic transition? Since 2015 senior citizens account on average for 54% of national expenditure, 64% of health expenditure, 56% of insurance expenditure, 57% leisure activities expenditure and 58% of home equipment expenditure (2). How can we best meet seniors’ expectations? Worldwide? The world’s population today includes 700 million people aged 65 and over; there will be 1 billion in 2030(3). What is at stake and what challenges do we need to face worldwide? 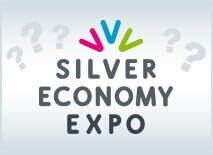 Why take part in Silver Economy Expo? The largest gathering for the sector’s players: the one opportunity, each year, to meet and exchange with the leading specialists. Join us Tuesday 26 and Wednesday 27 November 2019 in Paris- France at Porte de Versailles Exhibition Centre and spend 2 days meeting the sector’s players.